Takashi "Shiro" Shirogane, leader of the five Paladins of Voltron and Paladin of the Black Lion is ready to do his part. 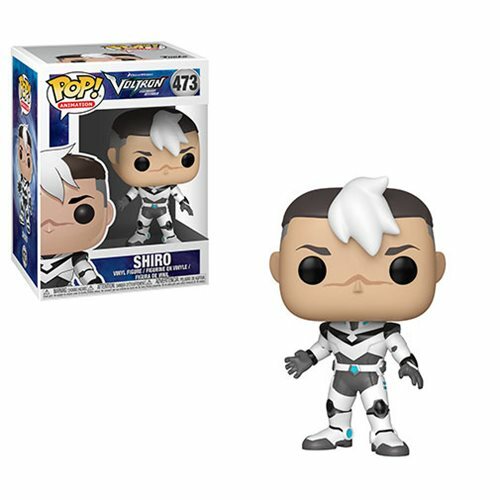 From the popular Netflix animated series Voltron: Legendary Defender, comes the Voltron: Legendary Defender Shiro Pop! Vinyl Figure #473. Measuring in at about 3 3/4-inches tall and packaged in a window display box. Ages 3 and up.